This entry was posted in Inter Species Wrestling and tagged Buxx Belmar, Izzie Deadyet on October 25, 2014 by TJ Hawke. This entry was posted in Inter Species Wrestling and tagged Dave Cole, Sexxxy Eddy on October 25, 2014 by TJ Hawke. This was for The Food Fighters’ ISW Tag Team Championship. This entry was posted in Inter Species Wrestling and tagged Bastian Snow, Bill Carr/Bobby Dutch, Dan Barry, Pasquale The Italian Chef, Team Tremendous, The Food Fighters on October 25, 2014 by TJ Hawke. This was for Dickinson’s ISW King of Crazy Championship. 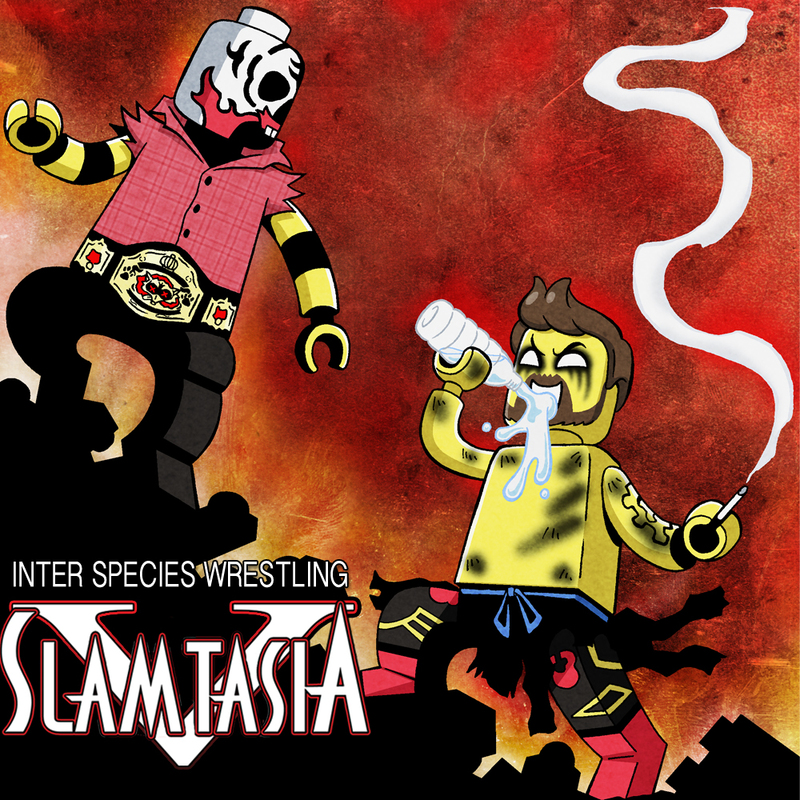 This entry was posted in Inter Species Wrestling and tagged Chris Dickinson, Matt Tremont on October 25, 2014 by TJ Hawke. This entry was posted in Inter Species Wrestling and tagged Jaka/Jonny Mangue, Mathieu St-Jacques, Pinkie Sanchez, Tabarnak de Team, Team Pazuzu, Thomas DuBois on October 25, 2014 by TJ Hawke. This entry was posted in Inter Species Wrestling and tagged Fluffy The Killer Bunny, Lloyd Ctulowitz on October 25, 2014 by TJ Hawke. This entry was posted in Inter Species Wrestling and tagged Christina Von Eerie, Jeremy Leary, Lucky Sabiti on October 25, 2014 by TJ Hawke.